Millennials control 21 percent of consumer discretionary purchasing power in the US or $1.3 trillion, making them an audience that deserves recognition and attention. A recent survey conducted jointly by Merchant Warehouse and Retail Pro International identified a serious knowledge gap that exists between retailers and their millennial shoppers. Each generation has their own specific buying patterns and understanding their unique characteristics and purchasing behaviors creates business opportunities that give retailers a competitive advantage. The millennials, or Generation Y, often forgo traditional marketing and do much of their shopping via the Internet from a wide variety of mobile devices. They are visual communicators who look for real life examples to show them the value of their investment and what their money buys them. Brand names are big with this group. So is having the latest technology. They are extremely connected and look to their contemporaries for approval. This group is attracted to the experience, value, cost, quality and service they can expect from a brand, product or company. 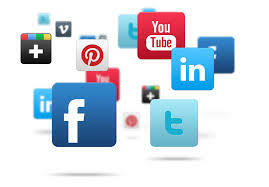 Social media is the preferred channel for reaching this market. Key influencers for this group are online-savvy peers, the Internet, eCommerce, Reality TV and digital music. With attitudes and behaviors shaped by technology and dramatic economic volatility, they are more conservative and share many characteristics of people who came of age during the great depression. Millennials are 2.5 times more likely than their predecessors to adopt new social, mobile and digital channels and they integrate technology into their customer experience. This is an important demographic for multi-channel retailers. Alexandra Frith, director of marketing at Retail Pro International comments, “The reality is that there just isn’t room for error; with so much competition – whether in-store or online – retailers can’t risk losing this important demographic.” Knowing how to better attract and engage this group should be an important part of your retail strategy. According to the survey, millennials are information-seeking shoppers with 60 percent doing pre-purchase research through retailer websites. In addition, 53 percent stated that their shopping experiences are seamless across channels although they note that retailer sites often lack the extensive functionality they have come to expect. They are looking for what is known in today’s vernacular as an ‘omnichannel experience’ and retailers need to consider this to create a relationship with these shoppers. In addition, millennials are the most multiculturally diverse group in the U.S. today. Brands that incorporate multicultural themes are winning with millennials as are those that effectively use social media channels to create inclusive communities. This enables millennials to connect with each other as well as develop stronger relationships with actual products and brands – a retailer’s goal. 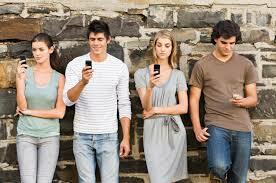 Tapping in to generational nuances can help strengthen your marketing strategy. Staying on top of and utilizing what is current and trending for the millennial demographic will enable you to better connect with this target audience to increase brand loyalty along with your bottom line. Your order management system contains a wealth of information about your customers and, with an eye on strategic marketing, you can use the data to create targeted, effective campaigns to entice your Generation Y customers with promotions uniquely suited to them. New Year’s resolutions aren’t only for individuals. Many business owners make resolutions intended to help their company achieve success and start off the year with a plan for growth. Statistics show that just one week into January, 25% of personal resolutions have already been forgotten and by the end of the year, 88% of resolutions will have been broken. Let’s look at how this year can be different. Relying only on motivation. – Connellan believes that motivation comes from small successes. Most of us think that we need one major motivator that will sustain us throughout the year which is not realistic. Success is a great motivator that will keep the motivation level high which leads to continued success. Having only big goals. – People tend to think in large terms that can be unrealistic. Smaller goals are just as important and often easier to achieve. Instead of saying this is the year for 500 new customers, try breaking this down into a weekly or monthly targets and develop short term strategies that you can implement to achieve your goal. Change is uncomfortable – Any kind of change, even good change, is a break from the norm which takes people out of their comfort zone. This makes it harder to continue a behavior and stay with a resolution. Rank your goals. – You probably have a laundry list of things that you’d like to achieve in 2014. Pick the top three goals for your company and focus on them. You can always modify or add to your list once you’ve accomplished a goal. Be aware of information overload. – With so much data available, you have to be selective in what you pay attention to. You can spend all day trying to keep up with information on your industry which won’t leave time for much else. Focus on a few trusted sources and industry experts to stay updated. Just say no. – Saying no gives you more time to say yes to what is important to your business. Now that you’ve got a handle on how to keep your resolutions, we have a few recommendations of our own that will help keep your eCommerce business on track for success in 2014. Revisit your marketing plan. – Review what worked in 2013 and look ahead to trends for 2014 that you’d like to incorporate into your plan. Reevaluate your target market and the strategies you used to reach them. Determine which marketing tactics worked, which didn’t and how you can augment your plan to achieve better results. And if you don’t have a marketing plan, now’s the time to create one. Remember, small steps will go a long way. Examine your website. – If you sell online, the importance of support for online shopping cannot be stressed enough. Make sure your website best reflects your company, products and what sets you apart. Be sure everything works as it should and that the site connects with customers across multiple sales channels and mobile devices. Market your company every day. – Find a way to do at least one thing to promote your business. It can be as simple as updating a directory listing or posting to Facebook. It can be as involved as creating a series of short videos, email blasts or developing a new advertising campaign. Check your prices. – Know what your competitors are charging for similar products and understand what customers are willing to pay. You may need to adjust your margins or find alternative suppliers, but offering the right products at the right price goes a long way to attracting new and repeat shoppers to your site. You likely have resolutions of your own that will support your vision for 2014. We offer the above advice to help you keep your resolutions and achieve greater success in 2014. The top names in retail met to discuss the future of the industry at the National Retail Federation (NRF) Conference & Expo. Joan Verdon, a senior writer from The Record, a North Jersey newspaper, keeps us informed on what’s happening in the retail industry. She asked six industry experts to name the three top issues that retailers should be focusing on for 2014 and beyond. Their perspectives are all worth noting and a must read for all retailers, whether eCommerce or in-store. The after holiday sales started before the holidays even ended this year with mega-markdowns seen on holiday items and popular gifts as retailers did all they could to attract shoppers across all channels. We have come to expect savings of up to 75% off pricing for holiday merchandise and similar deep discounts for winter clothing and accessories left over from the holidays. January has traditionally been a good month for home goods and promotions offered by furniture retailers on in stock and custom furniture. In addition to clothing, holiday items and furniture, there are other good deals to be had in January and shoppers never tire of seeking out bargains. Many start the new year off resolving to spend less without compromising their shopping habits. Others look for the amazing buys that can be had before their holiday credit card bills arrive in their mailboxes. White sales have been a January tradition since the first white sale in 1878. Towels are a major component of the traditional white sale and upgrading bathroom towels can give this important room a whole new look for very little money. The same for sheets, bedspreads and other linens. Hot tubs and spas are not normally items that people are thinking about after the holidays so retailers tend to get creative with deals to try to move inventory. Since these items need to be installed, buying on sale while sales are slower will usually enable you to pick your timing as far as installation. If you already have a hot tub or spa at home, now is a good time to make sure it is running efficiently and schedule any needed maintenance. Look for deals on accessories and cleaning products for spas and hot tubs also. Coffee sales offer multiple ways to save. The first way is for coffee-themed gifts (hot cocoa and teas also) which are popular holiday gift items that get creatively packaged but don’t always move off the shelves. Minimum discounts after the holiday are 50% on these items with deeper discounts often available. So even if you don’t need all of the items in the gift set, you’re still saving money on the coffee, tea or cocoa mix that you will use and enjoy. The second way to save on coffee is to check gift card marketplaces like Cardpool.com or Raise.com. According to the National Retail Federation’s Gift Card Spending Survey, some 19% of gift cards purchased are for coffee. These often end up on gift card marketplace sites at 10 to 25% discounts. January is the month when people try to get rid of their unwanted gift cards. These are not only ones received during the holidays, but throughout the year as well. As mentioned above, gift cards that people received but don’t really want can be found on gift card marketplace sites and purchased at a discount. Just check for expiration dates and fees before you purchase. If you don’t want to venture into buying pre-owned gift cards online, check with your friends, family and coworkers and create your own gift card exchange market. Men’s Formal Wear hits the sale racks this month. Although the holiday black-tie events season is over and wedding season is still months away, it’s not too early to think about when you may need formal wear for future special occasions. Tuxedo rentals are typically at 20% of the purchase price, so look ahead and estimate how often you’ll need formal wear. Investing in a tuxedo or formal attire, especially on sale, can save you repeated rental costs plus the time and effort involved in renting – measuring in advance, picking up and returning. If you are going through your closets and find suits that you no longer need, you can take them to a resale shop where you get cash for your items or donate them to local organizations that resell or reuse them. The Save-A-Suit Foundation provides former military personnel with business attire and accepts both men’s and women’s clothing. Tech accessories such as cell phone cases, headphones, and wireless speakers were great gift items this past holiday season. Now that the holidays are behind us, these items are on sales and being heavily promoted. Office supply stores will be discounting a lot of these and other items during January as well. Whatever deals, specials, sales and promotions you offer this January, be sure to be visible through email, social media, direct mail or wherever your shoppers are found. Use customer data from previous orders to identify shoppers that would be likely targets for your promotions and engage with them to get them to your site. The full text of Jeanette’s article, “There Are Deals to Be Had in January” can be found at online.wsj.com/news/articles/. Happy New Year and happy selling! Yahoo! unveiled its new logo design recently and it has opened up the conversation about the value of logo redesigns for companies and brands. There are no hard and fast rules for when it’s time to update your company or brand logo. Some companies can go for decades without a change and other companies make it a part of their marketing strategy to update or change their logos on a regular, pre-planned basis. Sometimes all it takes is a comment about the logo, whether from management, on social media or from the business owner that gets the process started. In 2013 many well-known companies including Facebook, Hooters, Ernst & Young, Instagram and Procter & Gamble made changes to their logos. For the first time in its 19 year history, multinational internet corporation Yahoo! redesigned its highly identifiable logo, issuing a “logo a day” over a month for people to weigh in on. Most logos are introduced and accepted without incident. However, in 2010, The Gap unveiled a new logo that was met with universal dislike, prompting this high profile retailer to ditch their new logo and return to the old. The purpose of a logo is to get the attention of your audience and make a positive impact and lasting impression. It should enable easy and instant recognition, conveying who you are and a realistic image of what your company and/or brand represents. How do you determine if your logo could use some updating? And if you decide to make a change should you go for a full redesign or just some more up-to-date touches? We’ve provided a few things to consider when evaluating these questions. Is Your Logo Showing Signs of Age? Just as clothing goes out of style (think of shoulder pads or parachute pants from the ‘80s), fonts, popular colors and images can make your logo look dated. Even classic clothing – think trench coats – get refreshed every now and then with new colors and updated styling. Often all that’s needed is an update to remain current to capture the attention of today’s digitally savvy audiences. You can make simple changes that will enable you to retain your logo’s original design while updating its look. Subtle changes may help you attract new customers while remaining fully recognizable to existing clients. Look at Facebook’s new logo and see how a simple change (no definitive bottom to their well known lower case f) makes a very distinct visual difference. Who Originally Designed Your Logo? Today’s logos need to translate across more media channels than ever before. Companies may not always budget for professional design services to create a logo and build their own logo without the benefit of a design professional. Although these logos may look nice, they don’t always work from a technical standpoint and may not transfer from online to print or from a PC to a tablet, phone or other mobile device very well. It is always a good idea to have a professional design, or at a minimum, review your logo to be sure it works across multiple media. Even professionally designed logos may need to be changed or updated from time to time and this should be handled by a design professional for the best results. Has Your Company Undergone a Major Change or Transformation? There will be times when updating your company or brand logo will be necessary. Major business changes, such as a new name, change in ownership, business focus, merger or acquisition, new product introduction, pursuing a new audience, or business expansion may all warrant a change to your logo. You may find that you no longer stand out from your competitors and need to find ways to differentiate yourself. With your logo being one of the first things a customer sees, it is good to have a logo that stands out from others in your industry and readily identifies your company and products. Rebranding is a larger decision. Companies consider rebranding for many of the reasons listed in the above paragraph, but the change may go deeper than just the company logo. Rebranding can include the company image, product lines, individual products and beyond; often eliminating an old brand and introducing a new one. Your website and/or storefront are places to showcase your brand image. Refreshing the image through a change in logo design is an investment that can carry your business to the next level and make a huge impact on your company and/or brands’ creditability and success. For a fun look at popular company logos that have changed significantly over time, click here. (http://www.hongkiat.com/blog/logo-evolution/) For additional information on updating your brand logo, check out “9 Answers To Why, When And How You Should Update Your Brand Logo” at http://eleventygroup.com/site/2013/09/11/why-when-and-how-you-should-update-your-brand-logo/. Working with many SMBs, the newspaper headline “Advice for small companies: Take stock, take risks” caught my attention. This article by Joyce Rosenberg, small business editor at The Associated Press, encourages small business owners to step back from their day-to-day operations to evaluate how they are running their companies. According to Rosenberg, crisis mode has passed and business owners need to be sure their companies are poised to take advantage of growth opportunities expected on the horizon. A recent National Small Business survey taken in June and July indicates that small business owner confidence is up 38% from six months ago. The Wells Fargo/Gallup Small Business Index July survey shows that confidence has risen 9 points from the start of 2013. Indications are positive and business owners need to be ready to respond to customer and market demands that are to come. One issue that small businesses are facing is the uncertainty surrounding the Affordable Care Act. Businesses don’t have a clear picture of what it will ultimately end up costing to provide health care coverage for their employees. Paul Sarvadi, adviser to small business owners and CEO of Insperity, a Houston-based human resources provider advises not letting this uncertainty limit or stall future plans. Rosenberg cites three major steps that small business owners should be taking right now as they prepare for a strong year end and continued growth in 2014. Look Ahead –Step back and take a hard and realistic look at where improvements are needed. Reducing costs, increasing customer satisfaction and differentiating yourself from your competitors are all areas that need to be explored. Don’t be afraid to be critical in analyzing your business and don’t be locked in to how things have been done in the past. Take Risks – Business is risky and doing nothing can be the riskiest behavior of all. Be prepared to respond to opportunities. Consumer spending and the economy can rebound quickly and you’ve got to be ready to jump in to take advantage. Be Good to Employees – The backbone of your organization – retaining good employees needs to be a priority. Determine what rewards would be appreciated by your staff and implement incentive programs that will have the best return. The growth trends cited in this article are consistent with those we observe for multichannel etailers transacting business through our order management and eCommerce solutions. Running an SMB retail business is as much of an art as it is a science. Connecting back office retail operations with the eCommerce store is essential to bridge the gap between the orders coming in through your online store, the fulfillment of orders and inventory visibility on the back end. To access Joyce Rosenberg’s full article, click here: http://bigstory.ap.org/article/advice-small-companies-take-stock-take-risks. Inventory management can be a time-consuming and error-prone process for multi-channel eCommerce businesses. The quality and accuracy of inventory management is especially critical during the peak holiday selling season, which can be can be the single most important time of the year for these retailers. According to the NRF, nearly 20% of retail sales happen from Black Friday through Christmas with close to 40% of sales taking place between November 1 and December 15. Having the right amount of inventory on hand to meet consumer demands can make all the difference in the success of a retailer’s holiday season. Putting time into some advance planning can better prepare you to meet the unpredictable demands that your business will face, especially this year with only 26 shopping days. Without proper planning, this peak holiday selling season can create a perfect storm of inventory management challenges. By recognizing problem areas likely to cause problems, you’ll be better equipped to weather the season. Avoiding stockouts, fulfillment bottlenecks and meeting delivery demands can make the season merry and bright for you. Synchronize your schedule of marketing campaigns with the availability of products featured in promotions. Actively manage merchandise assortments in conjunction with marketing plans to know what items you’ll need to keep the demand plans balanced. Get areas of your warehouse or store ready to receive the products you’ll need and have a logistics plan to efficiently move these items. If you’re drop shipping, coordinate schedules with drop shippers and/or warehouses that store and distribute your products. Analyze previous holiday sales, consider anticipated consumer trends and, if the research is available, evaluate recommendations in your industry segment. Determine what worked and what areas are in need of improvement. Consider orders from your best shoppers and look at their buying behaviors during peak selling periods. Look at impulse or fast moving items that tend to sell out quickly and be sure you can readily restock these items to meet demand. Accurate inventory and sales data enables you to make efficient and effective decisions before the season starts and throughout your busiest holiday times. And don’t forget to manage your customer list along with any mailing lists you may purchase. An inventory management system allows you to track and control your inventory across all sources. Inventory management software that integrates data across multiple selling channels adjusts your inventory levels when an order is placed or a sale is made. Inventory management software allows you to track your inventory status and will make it easy to manage and fulfill orders from shopping to shipping all year long. Your vendors have holiday sales goals just like you and are likely to be looking for ways to get their customers to buy from them. Don’t be afraid to negotiate prices or delivery terms which can help you save money and keep you stocked with the items you need. If you ship your own merchandise, in addition to having the right amount of inventory available, you also need to be sure that you are well stocked with other retail holiday essentials including gift wrap and bags, gift cards, bows, special holiday packaging, extra shipping boxes, packaging tape and other supplies. You can’t move your inventory if you don’t have the packing and shipping supplies you need. If you work with a drop shipper, drop shipping transfers the pick, pack and ship tasks to the shipper. Give some thought to how you’ll handle returns and the impact anticipated return levels will have on your inventory levels. Take the necessary steps now to ensure you have the inventory on hand meet your shoppers’ demands. For additional tips to help you have a great holiday selling season, access our on-demand webinar, “The Top 5 Insights to Help Prepare for Seasonal and Holiday Rushes”. Happy & Successful Holiday Selling! Consumers have become savvy shoppers and adapted to the spending cycle of Black Friday, Small Business Saturday and Cyber Monday. While they clamber for deals over this weekend, they also realize that more promotions will follow over the next few weeks. With only 25 shopping days this season, retailers are pulling out all stops to attract shoppers both in store and online. Jeanette Pavini, MarketWatch.com columnist has provided some shopping insights for consumers looking to take advantage of great deals and discounts to help them fill the stockings of family and friends. These cover a wide range of products to help buyers stretch holiday dollars. Below are items that she is highlighting to shoppers as trends for December. Classic Toys are never out of style. Kids may have digital wants but according to the National Retail Federation’s 2013 Top Toys Survey, classics like Barbies and Legos still make it to the top of many wish lists. Lego offers bundled sets at one low price that can be given as two separate gifts. If you order Barbie and accessories from the Mattel website, signing up for their email list before you shop will save you 10%. If you missed the Thanksgiving and Black Friday toy specials, you can still get a bargain as many of the season’s most popular toys are discounted even more in December. Hot items from the NFL. If your NFL team is like mine and out of the running for a playoff spot, you may be able to grab some clearance priced licensed gear during December. And these prices will likely go lower after December 25th as retailers try to empty their shelves. Game tickets are also subject to a team’s success (or lack of) with underperforming team tickets available at a discount – TiqIQ’s NFL Power Rankings has the average price for the Jacksonville Jaguars at $59 whereas Chicago Bears tickets are averaging $374. DVDs can be a great buy. Blockbuster is closing its doors, announcing the closing of its remaining 300 stores by January. They have planned giant close out sales for movies, music and even video games. In addition, with more people streaming movies, stores are finding themselves with excess DVD inventory. Clearance bins often have great buys on popular and classic movies. We all need clothing. If you can wait until December 26th, the bargains will get better. Clothing, accessories, and shoes are the most returned gifts which often get further mark downs before being returned to the shelves. Excess inventory will typically be reduced after the holiday for even more savings. The go-to Gift Card. Many retailers and restaurants offer gift card bonuses at this time of year. Buy a specified amount of gift cards and get a bonus gift card that you can give as a gift or use to treat yourself. Just be sure to check the fine print and expiration date of the bonus cards – these often expire within a shorter time period and may require a minimum purchase. Great offers that no one knows about won’t bring shoppers to your store or website so continue to reach out to your shoppers with whatever promotions and deals you are offering. For additional holiday sales strategies, view Dydacomp’s webinar, The Top 5 Insights to Help Prepare for Seasonal and Holiday Rushes. A recent 60 Minutes segment featured a rare interview with Amazon founder Jeff Bezos. In preparation for the show, 60 Minutes was granted unprecedented access inside Amazon’s operations and was able to visit one of the 1.2 million square foot seventh generation fulfillment centers (there are 96 of these worldwide) that are at the heart of Amazon’s customer-centric approach to order fulfillment. 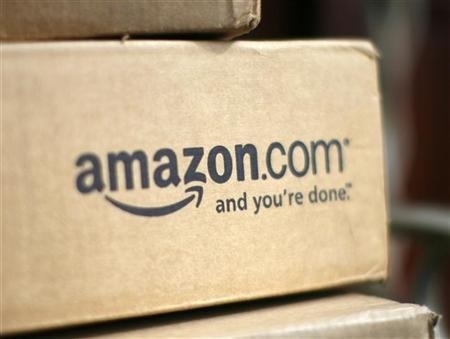 Humble Beginnings – Bezos used to drive the packages to the post office himself for shipping. Fulfillment Center Efficiencies – Amazon warehouses can store twice as many goods as they did five years ago. By building distribution centers close to the customers they serve, they are able to accelerate the delivery process. Their centers are automated, hi-tech marvels. Other Amazon Businesses – Amazon Fresh offering same-day grocery delivery; Amazon Fashion offering high-end clothing; Original television programming – its first series Alpha House was written by Doonesbury creator Garry Trudeau; and Amazon Web Services (AWS) offering cloud based data storage and website hosting for hundreds of thousands of outside companies and government agencies, including Netflix and the CIA. Company Philosophies – building customer trust, delivering shareholder value and always looking to increase market share and improve the customer experience. The Future – more distribution centers, more efficient operations and drones as delivery vehicles for the majority of Amazon orders – this is a must see! Amazon has 225 million customers throughout the world and its self-proclaimed goal is “to sell everything to everyone,” and delivering it as quickly and efficiently as possible. For the full interview between Charlie Rose and Jeff Bezos, go to http://www.cbsnews.com/news/amazons-jeff-bezos-looks-to-the-future/. Check out the Dydacomp on-demand webinar that provides information on selling through Amazon Marketplace. It is a must watch if you are considering Amazon Marketplace or looking for a more efficient way to manage your existing Amazon Account. Click here to access this free on-demand webinar. Marketers are placing a high value on social media with 86% of marketers responding to a recent survey indicating that social media is important for their business. This is up from 83% in 2012. Facebook and LinkedIn are the two most important social networks for marketers and if forced to choose only one platform, 49% of marketers responded that they would select Facebook. Despite Facebook’s popularity among the marketers surveyed, only about one in three find their Facebook efforts are effective. In a recent survey of Dydacomp SMB retail customers, 50% of respondents indicated that social media is one of the emerging channels that they plan to leverage in 2013. The 2013 Social Media Marketing Industry Report conducted by SocialMediaExaminer.com reveals current and relevant insight to marketers as they evaluate their social media marketing efforts. This annual survey, now in its fifth year, of 3,000 marketers seeks to understand and then share how social media is used to grow and promote a wide range of B2C and B2B businesses. A little more than half of the respondents are self-employed or work for small businesses (2 to 10 people). Responses are summarized and presented in easy to read and follow graphics with nearly 70 charts to visually convey the report’s findings. Get information about social media time commitment, benefits, pitfalls and platforms that your peers and perhaps competitors are using and compare yourself against other marketers. Are you getting the same results? What more should you be doing? The 2013 Social Media Marketing Industry Report is a must read for anyone that needs to evaluate the commitment to social media marketing. Click here to access this special report.